Love a good fruity drink recipe? 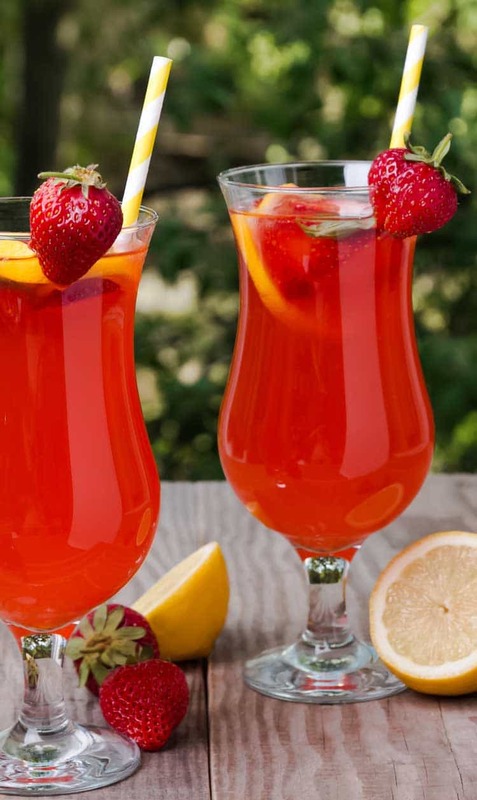 Then this Strawberry Lemonade recipe is exactly what you’re looking for. Summer fun is something you’ll want to take advantage of, and its best to do that while you are hydrated. We’ve got a bunch of drink recipes that will keep you hydrated during the summer and all year round. Try our Strawberry Limeade Rum Punch if you’re looking for the perfect party drink, our Copycat Sonic Cherry Limeade for the perfect refresher, or maybe one of our 13 Lemonade Drink Recipes. Goodbye strawberry lemonade mix. Hello fresh citrus fruit and strawberries! Just the right amount of tang and sweet refreshment, this tasty beverage is nothing short of perfection. 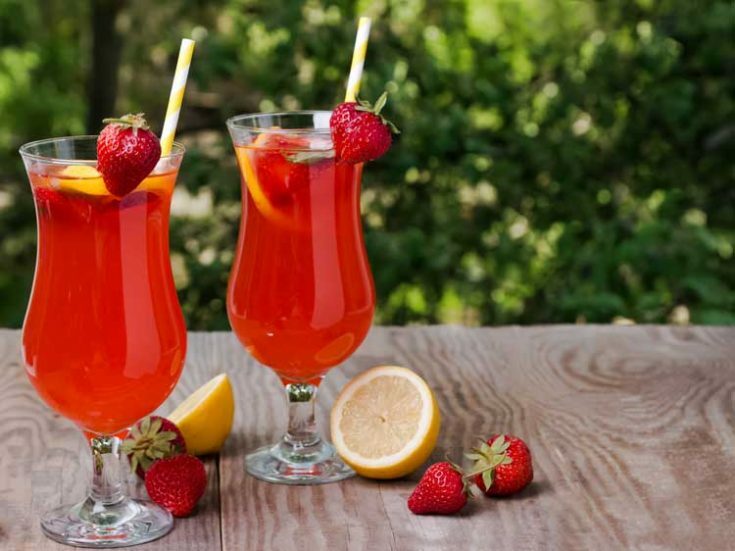 This easy strawberry lemonade recipe is perfect for a summer’s day, a get-together with friends, or just to enjoy because it’s delicious. It’s super easy to whip up fast. The homemade version of this easy strawberry lemonade is possibly even better than the original because you can tailor it to your own tastes if you prefer something a little more sweet or sour. Serve it up in a glass drink dispenser and sit back and enjoy the day. Get more amazing copycat recipes here or buy restaurant gift cards online and go out to enjoy your favorite restaurant meals. They also make perfect gift ideas! Tasty Copycat Red Robin Strawberry Lemonade recipe is delicious! This easy copycat recipe is refreshing. Perfect drink to quench your thirst. When you squeeze the lemons, that is where a lot of the liquid comes from. Thanks!